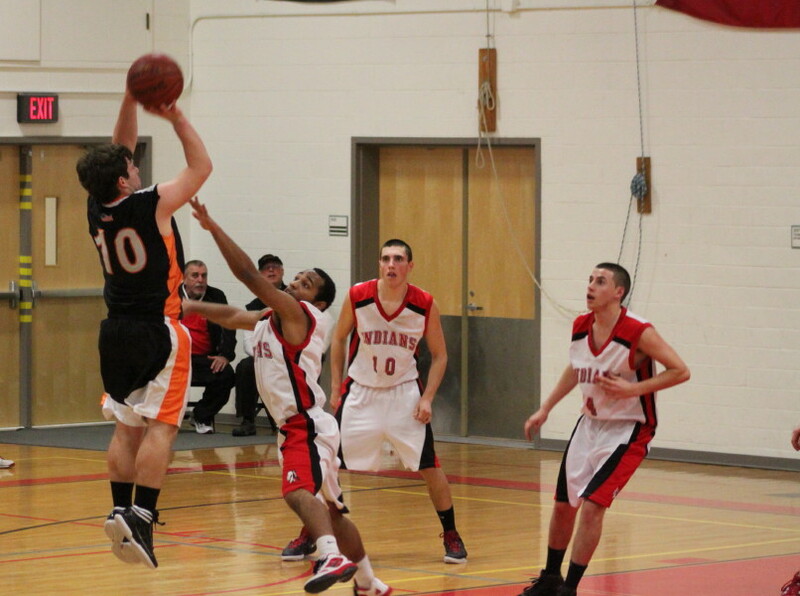 Mike Zelinsky (4) sank two free throws and assisted on another basket in the Amesbury OT win. 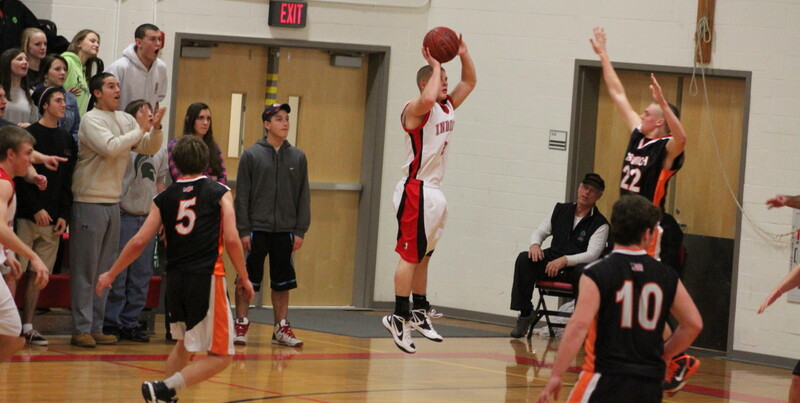 Matt Talbot (23 points) shoots over Brenden Gallagher in the 3rd quarter. 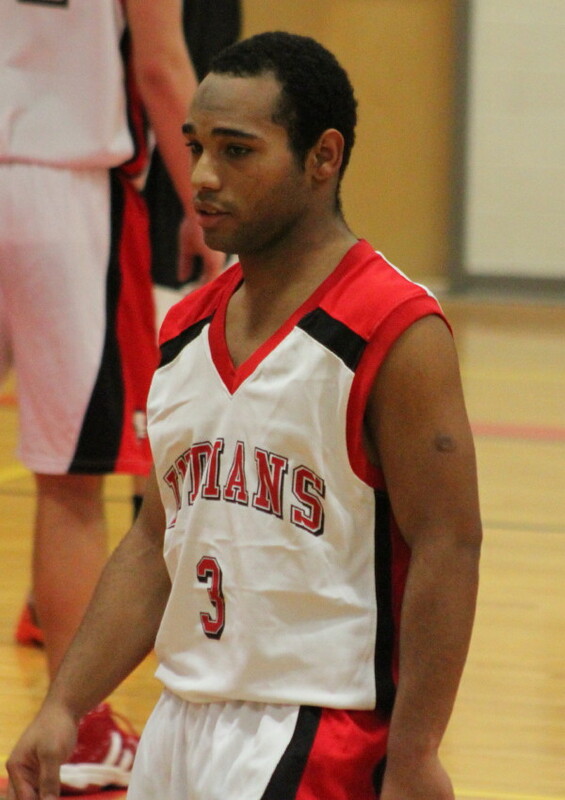 (Amesbury) Excitement aplenty as the Amesbury Indians defeated the Ipswich Tigers, 60-56, in overtime in non-league Cape Ann League action on Tuesday night at Amesbury. 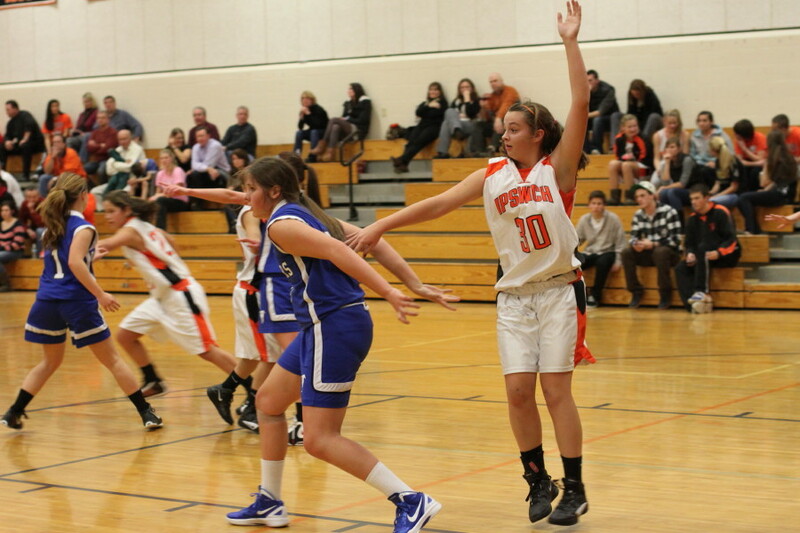 This was the season opener for both squads and one that either team could have won. Ipswich squandered an 11-point second period lead (26-15) and then rebuilt their lead to, 47-42, as Dan O’Flynn (20 points) hit a three with 4 ½ minutes left before the end of the third period. 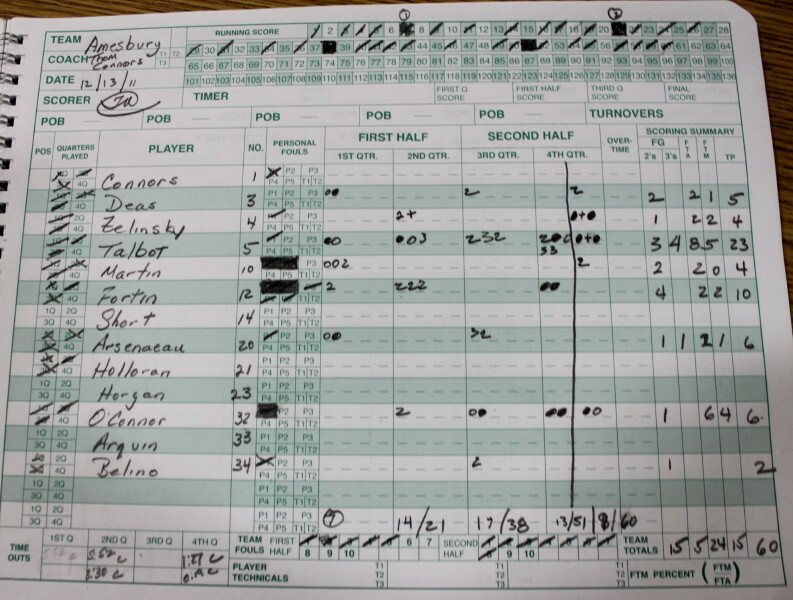 However, three minutes later the Tigers trailed, 51-49, as Matt Talbot (23 points) connected on two 3’s and a free throw and Jack Fortin (10 points) added two free throws. A slash to the rim by Brenden Gallagher (9 points) tied things with 1:10 remaining in regulation. Stephan Deas, Mike Scola, and finally Matt Talbot fired potential game winners but all missed. 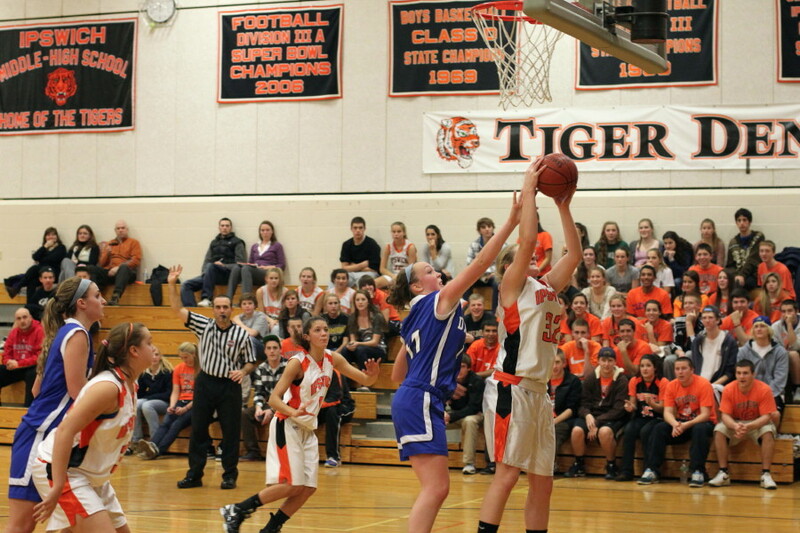 Amesbury dominated the four-minute overtime. They grabbed the early lead on a Curran O’Connor free throw and held it as Ipswich came up point-less in four straight possessions. 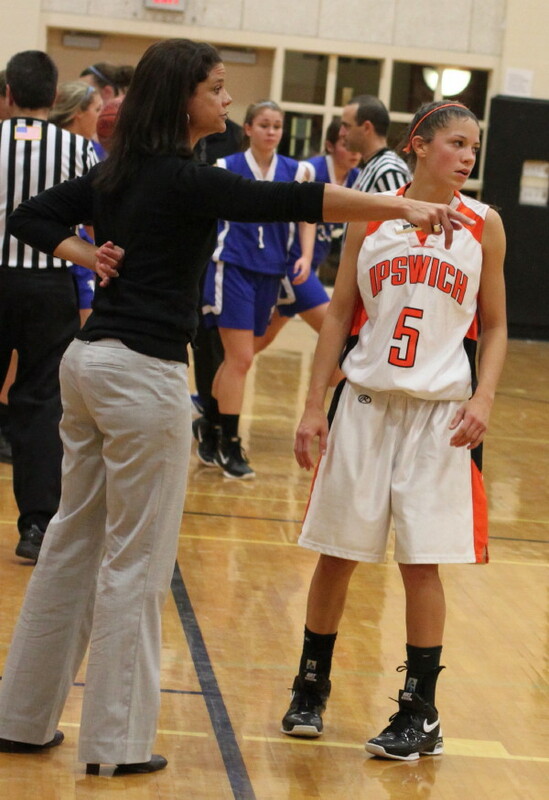 Then the Indians put together three consecutive productive possessions (6 points) and Ipswich was cooked. Stephan Deas started this run with a dash to the basket. He is always looking to get to the basket and usually someone keeps him from doing it. 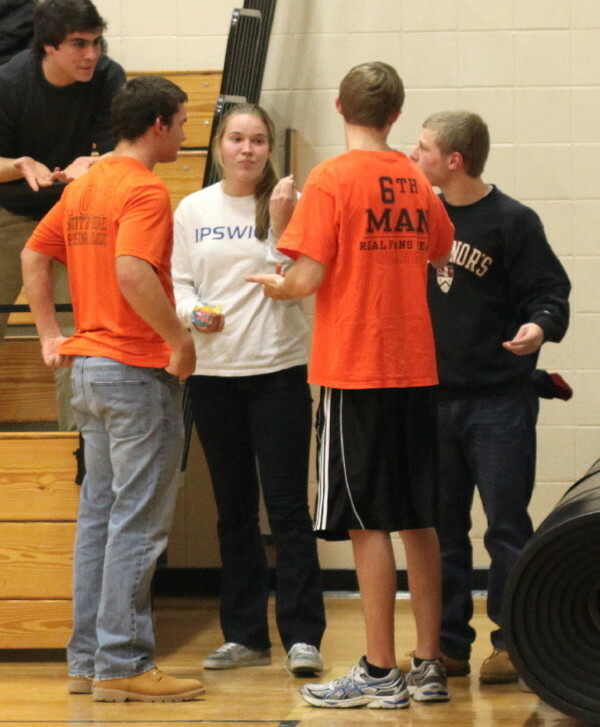 This time the Tiger defense didn’t step in and Stephan had a layup. 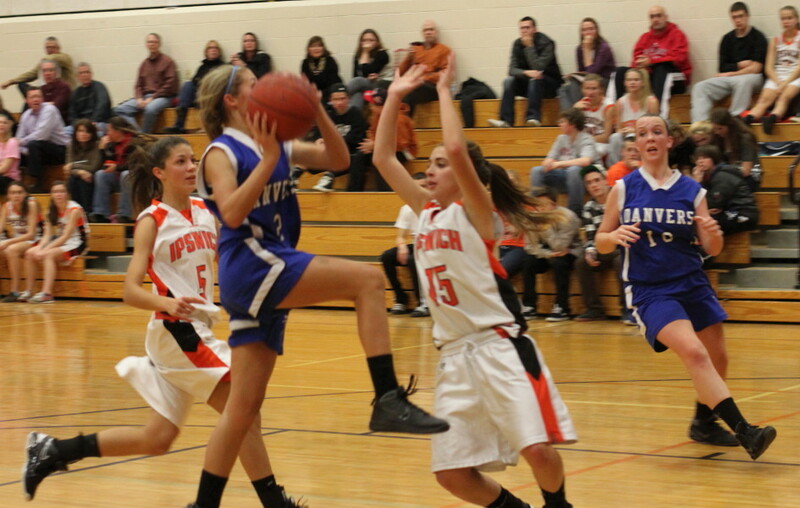 Next possession an Ipswich turnover led to them fouling Mike Zelinsky. He made both shots. 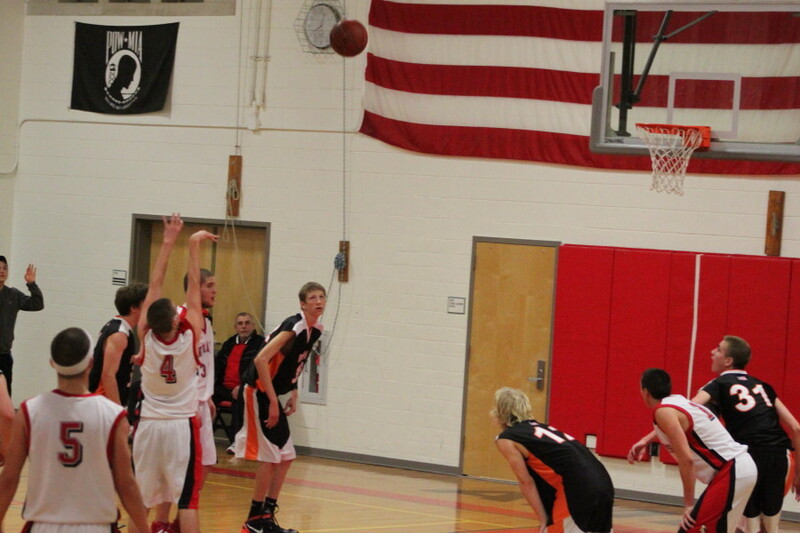 After two Dan O’Flynn free throws, Zach Martin was sent in for a layup on a great feed by Mike Zelinsky. 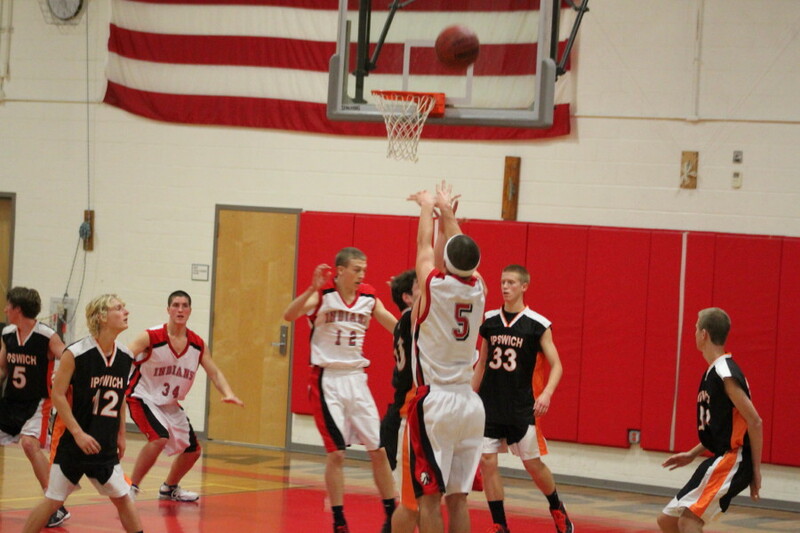 That basket was the killer, giving Amesbury its biggest lead of the game (58-53) with twenty-five seconds left. The Tigers fired up three 3’s the rest of the way with Mike Scola (7 points) connecting on one of them with a second left. Matt Talbot’s two free throws set the final score at 60-56. 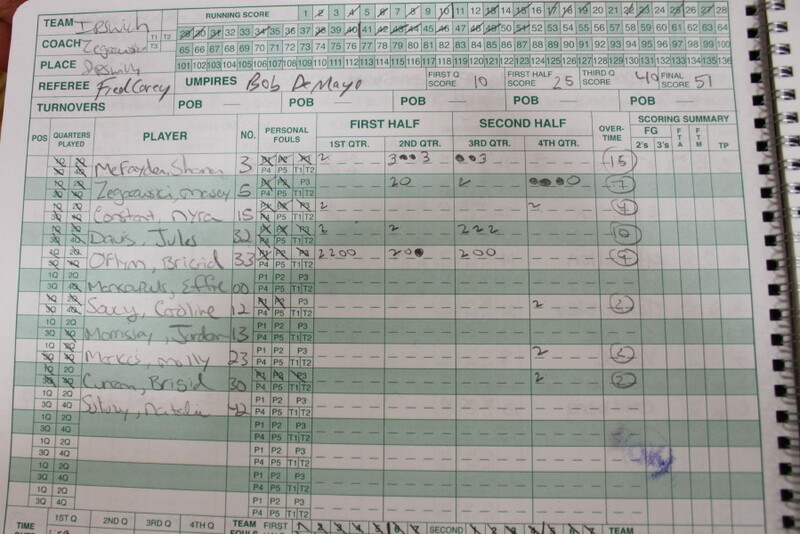 The difference in the game, using my stat sheet as my source, was Amesbury’s willingness to take the ball to the basket. 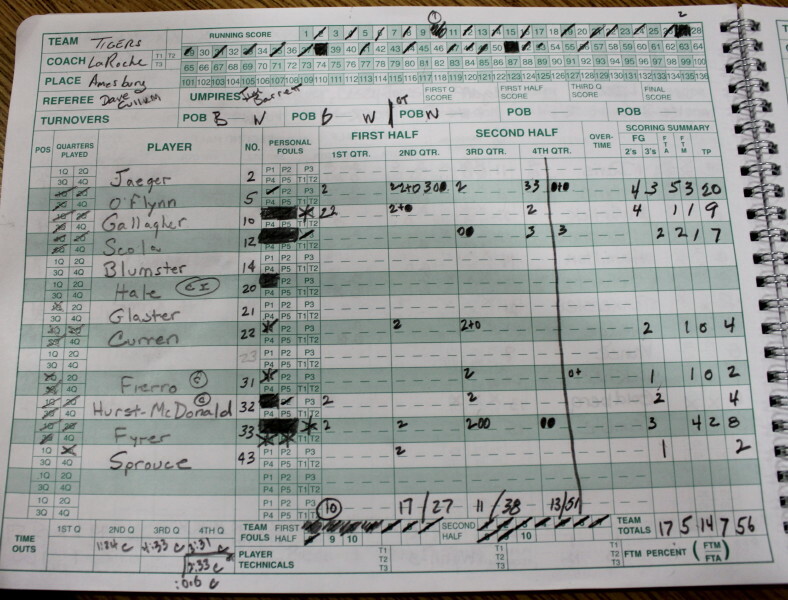 They didn’t always get 2-point baskets but they did get free throws – two at a time. The Indians ended up taking twenty-six freebies while the Tigers put up only fourteen. 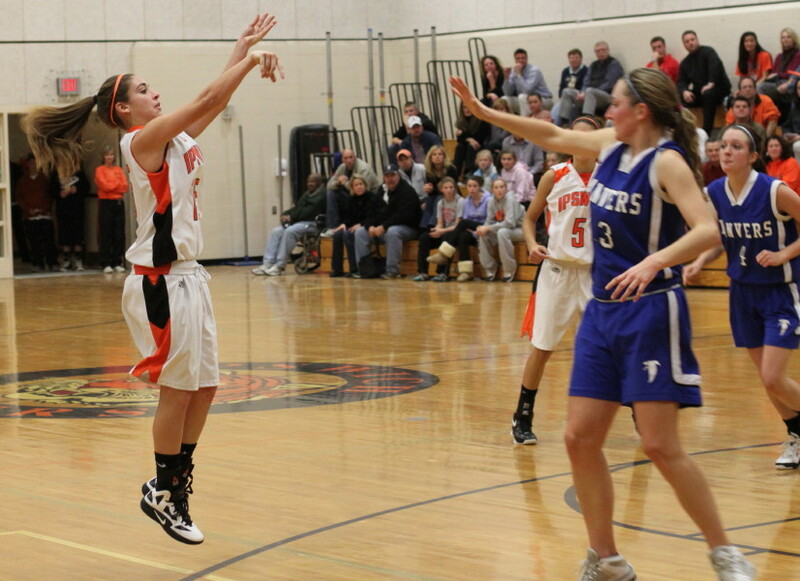 Amesbury missed eleven free throws but in overtime they dropped in five-of-six. A bad final minute in the third quarter by the Tigers changed the momentum. 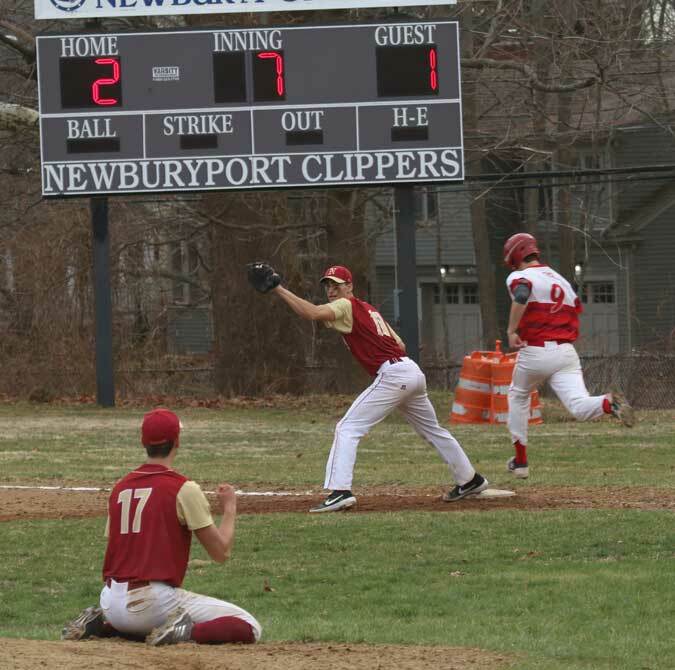 Ipswich had a one-point lead (37-36) but then missed 3-of-4 foul shots and had a grievous turnover (John Fierro) that led to a Kyle Arseneau buzzer beater. With made free throws and eliminating the turnover the Tigers could have had a 41-36 advantage instead of the 38-38 tie they ended up with. 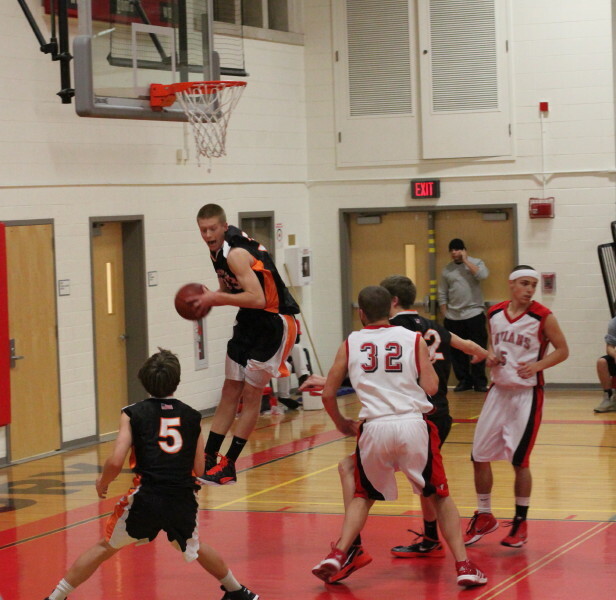 Matt Talbot (23 points) was impressive. 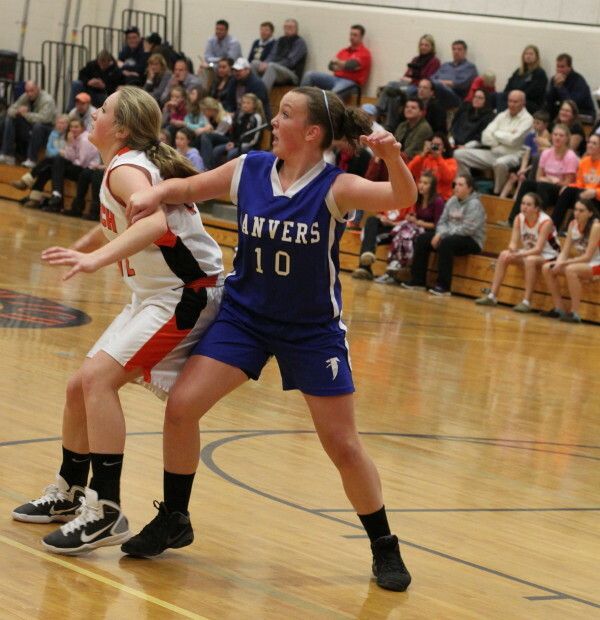 The 5-10 junior carried Amesbury into overtime with several crowd-pleasing long ones. Brenden Gallagher chased him all game long. 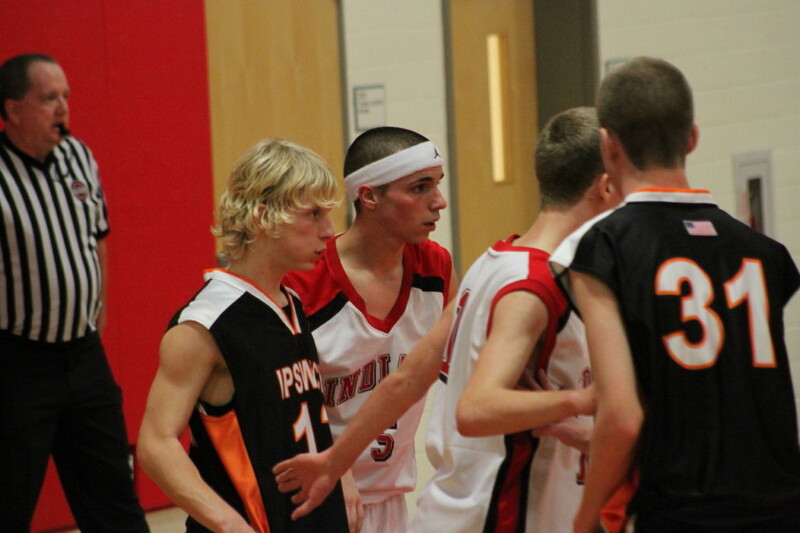 Brenden was leveled by a backcourt pick in the fourth quarter. 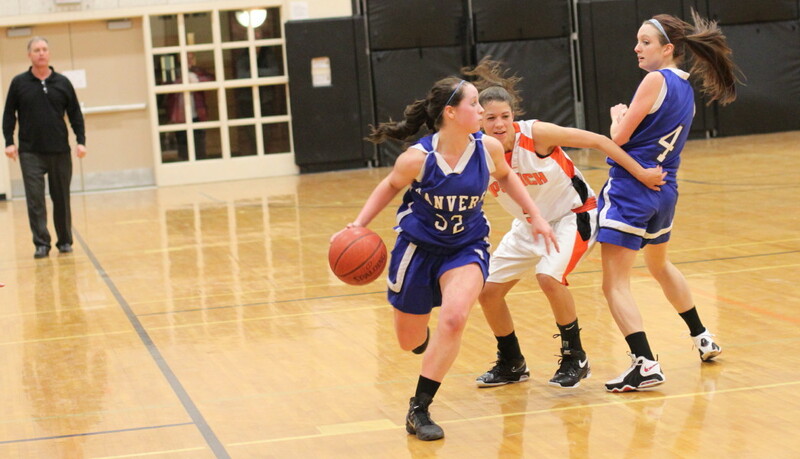 Both teams pressed and that led to turnovers (19 for Amesbury/ 15 for Ipswich) and hectic action back and forth. The Indians cleaned house on the offensive glass. 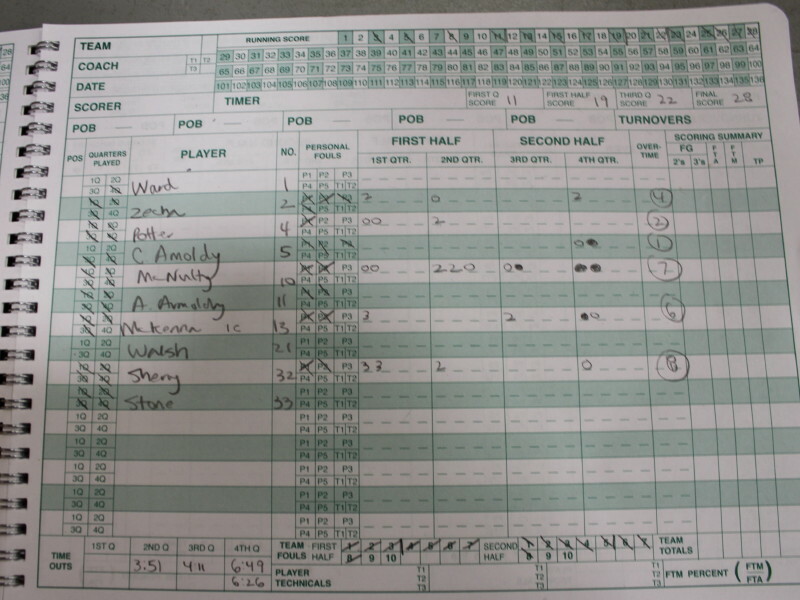 By my stats they had twelve multi-shot possessions. 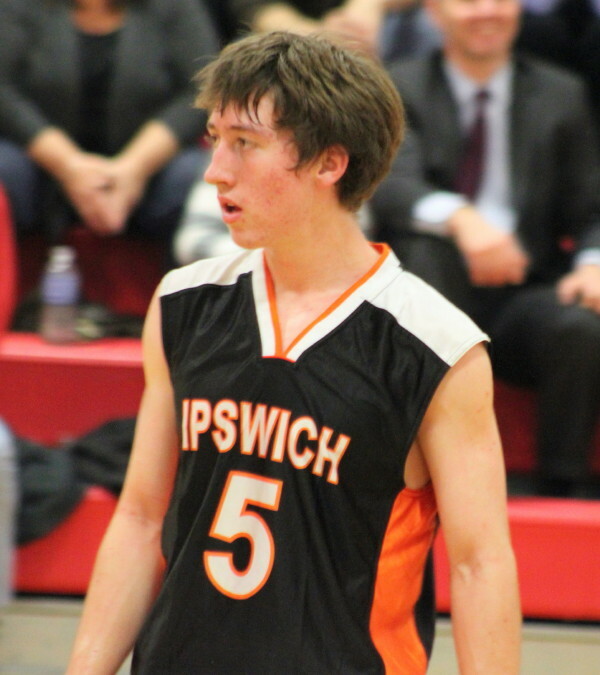 From what I could see, Ipswich can not afford to have Erik Fyrer (6-4 sophomore) losing playing time because of foul trouble. 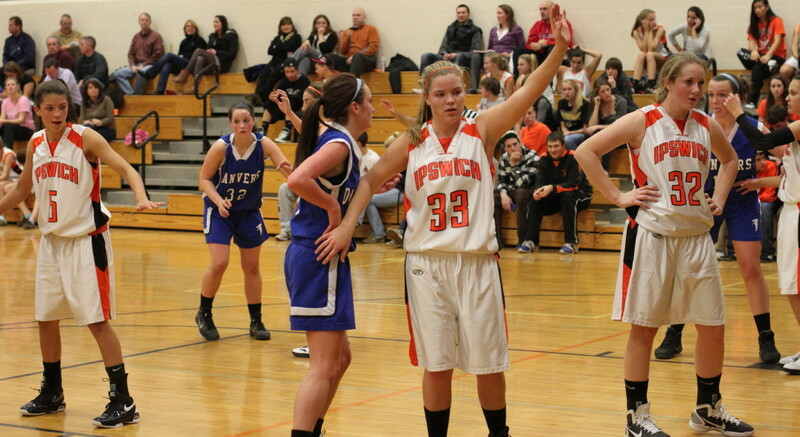 The last time I saw Ipswich/Amesbury meet was on January 28th at Amesbury. The teams had played twenty games with nary a win in those games. The excited Indians won 53-46 before a very supportive Amesbury crowd. 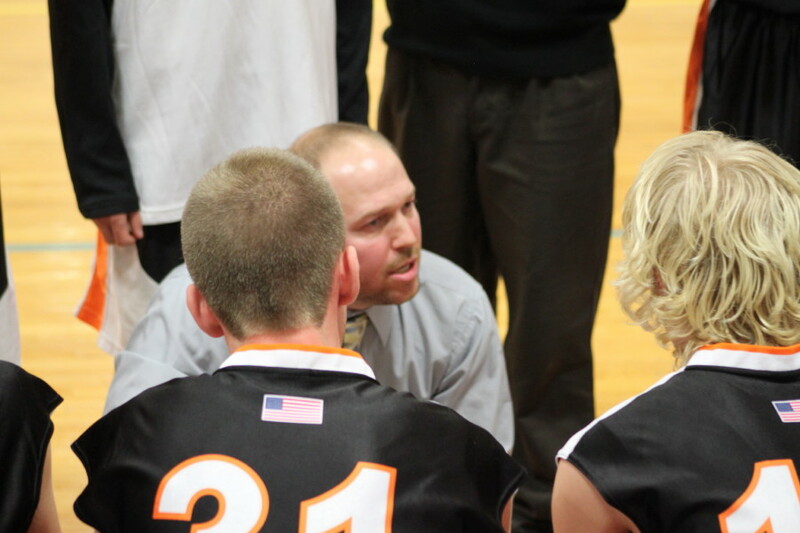 IHS coach Alan Laroche in late game huddle. Brenden Gallagher (10) shoots over Stephan DeasGrant Belino (34) looks for someone to pass to.